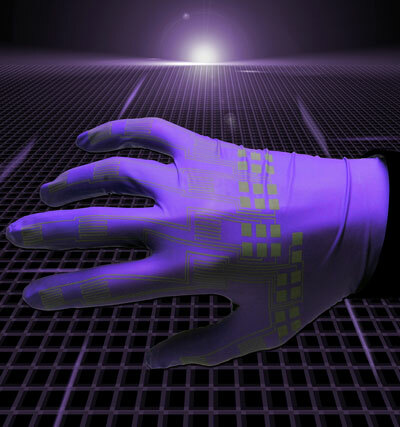 (Nanowerk News) New research shows how inkjet-printing technology can be used to mass-produce electronic circuits made of liquid-metal alloys for "soft robots" and flexible electronics. A research paper about the method will appear on April 18 in the journal Advanced Materials ("Mechanically Sintered Gallium–Indium Nanoparticles"). The paper generally introduces the method, called mechanically sintered gallium-indium nanoparticles, and describes research leading up to the project. It was authored by postdoctoral researcher John William Boley, graduate student Edward L. White and Kramer. "For example, how do the nanoparticles orient themselves on hydrophobic versus hydrophilic surfaces? How can we formulate the ink and exploit its interaction with a surface to enable self-assembly of the particles?” she said.